Ever since I can remember I’ve been a Harry Potter fan. It has taught me a whole host of life lessons and I will always be proud to be a Potterhead (I’m a Slytherin because I love Draco!). 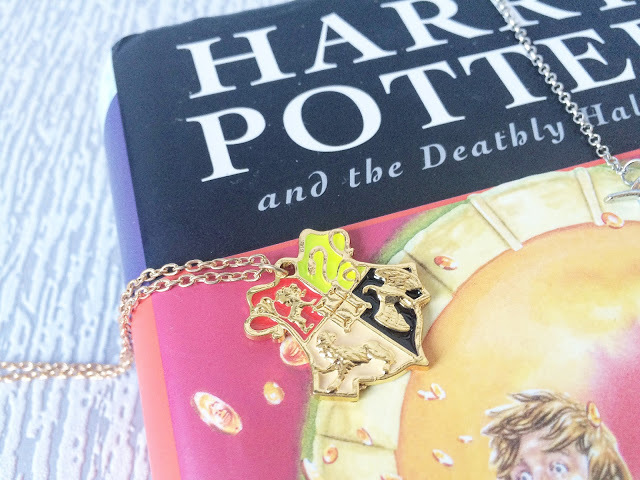 I’m that girl who’s always talking about HP and who’ll probably be wearing something HP-themed, be it clothing, a bag or jewellery. 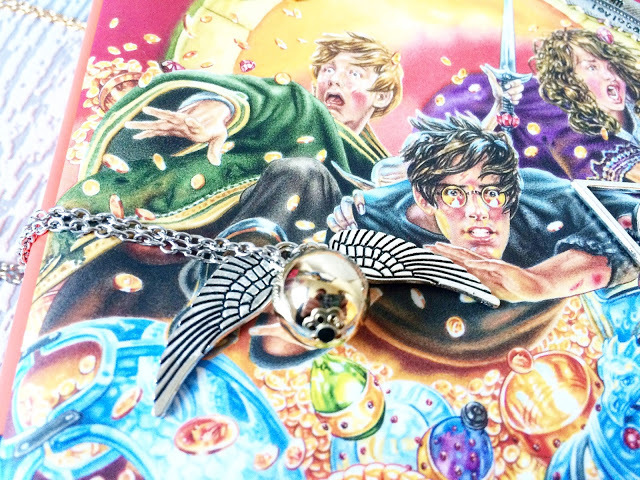 Quirky jewellery has also always been a favourite of mine so to find Harry Potter jewellery is always the dream. After hunting high and low, I discovered the lovely Emma, who owns the fabulous The Polkadotte, a few months ago. Emma is also from Hull like myself so supporting a local business AND getting amazing jewellery is a bonus! Having met Emma recently at one of her stalls, I can confirm that the owner is just as lovely as her jewellery! It’s so great to meet the face behind the shop! I will say that this collection of necklaces were not all bought together. I’ve had one or two of them for some time now and the others were bought more recently when I visited Emma at her stall! Hoggy, hoggy, Hogwarts! The school we all wish we went to and we’re all still waiting for our Hogwarts letters! Instead, we watch all the movies, read all the books and buy any Harry Potter-emblazoned merchandise. Emma often advertises limited stock on her Instagram which is how I got this one! I love how much detail is on this crest too; you can clearly make out what each symbol/animal is! 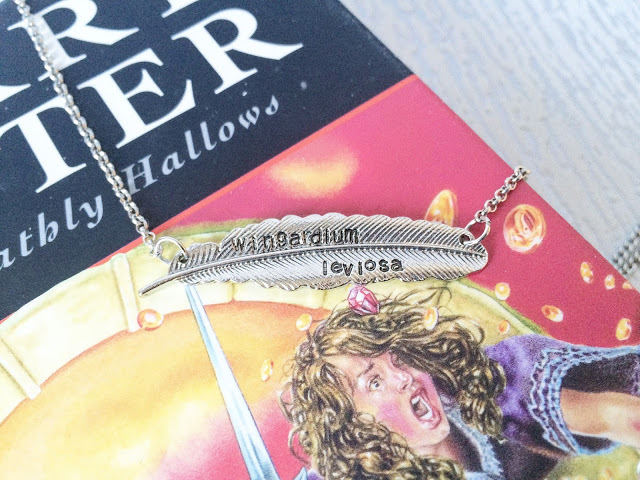 My inner Hermione approves! She is basically my spirit animal. I knew she was going to be my favourite character from the moment she showed everyone in class how to do this spell. Harry and Ron would be lost without her; she has the most incredible brain! 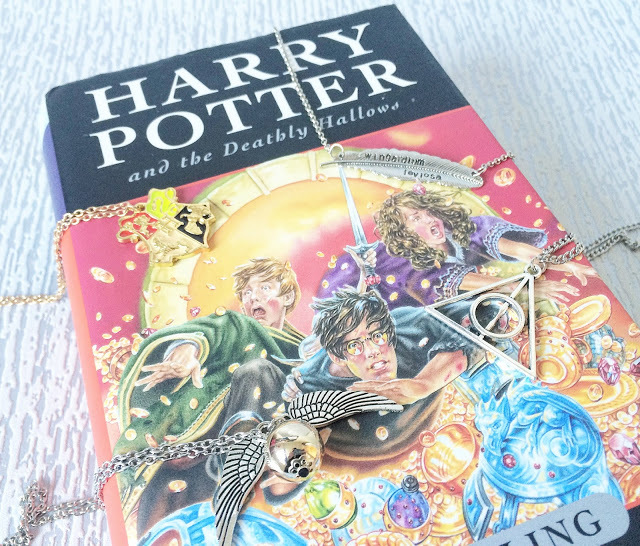 I love how this necklace incorporates the feather from the scene! Love the font too! Who wishes they could play Quidditch? This girl! I’d definitely want to be a Seeker! Mixing gold and silver jewellery is always a risk but I say it’s a risk worth taking! The wings are super cute! 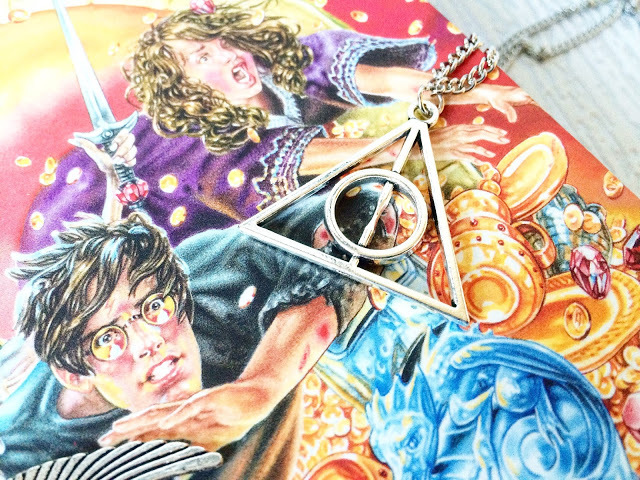 The Deathly Hallows is one of those symbols that will always resonate with me. Yes, I know it means that you are the master of death when you have all three but I love how all three pieces fit together! This chain is slightly longer than the others so it fits more like a pendant rather than a necklace but I really like that! The great thing about Emma’s store is that you can find it in so many places! The Polkadotte is on Etsy (link here), Ebay (link here) and their own website (link here). While you’re doing that, why not give Emma a follow on Instagram?